Principal Broker Rocky Webb, along with his wife Jana, own Columbia River Properties. 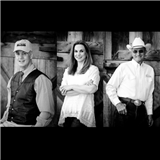 Rocky Webb and Ellie Webb, a Father/Daughter Team, are joined in sales by Principal Broker Jim Wilcox, GRI*, CRS*, along with broker Lynette O’Brien,MRP*, ASP*. Columbia River Properties conducts logical, sound real estate transactions in The Dalles, Wasco, Hood River and Sherman counties in Oregon, specializing in residential, rural, and farm and ranch land, as well as industrial and commercial properties. Our objective is to give individual attention to facilitating your specific real estate needs, providing our customers with a solid, realistic real estate experience. We take pride in representing people first, properties second. Our Brokers are Informed, Involved, & Part of Your Community. Let one of our experienced brokers guide you in making the right real estate decision. As is often said, real estate is about location, location, location. We have extensive knowledge of the area and can help you find the right property for you or the right buyer for your property.